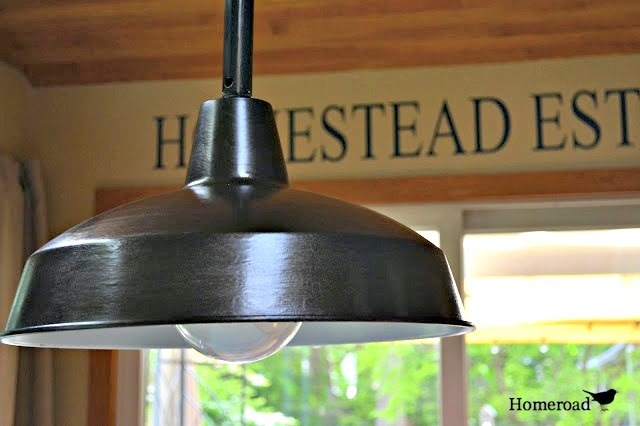 A while back I created a DIY Farmhouse light over my large dining room table. Then in another post I painted the light. 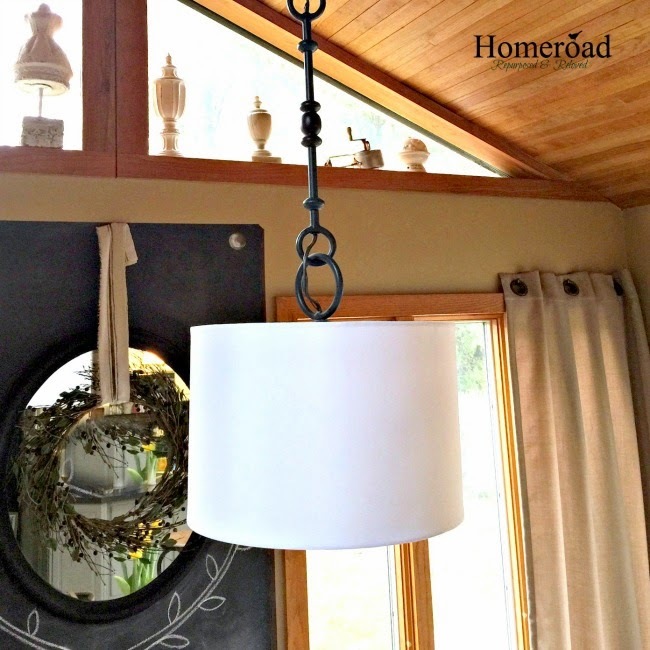 Truth be told the farmhouse light wasn't bright enough to light up my extra long dining table so I switched it out with another hanging light. And I was not happy with that light either. 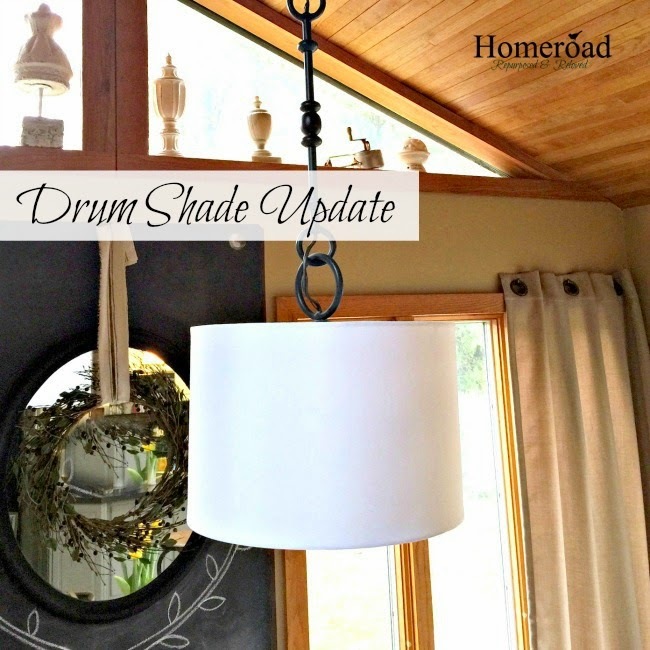 I saw a DIY post on Pinterest about switching a glass dome shade to a drum shade... Bingo! That is just what I needed! The post was written by Dwellings by Devore and you can read her directions HERE. 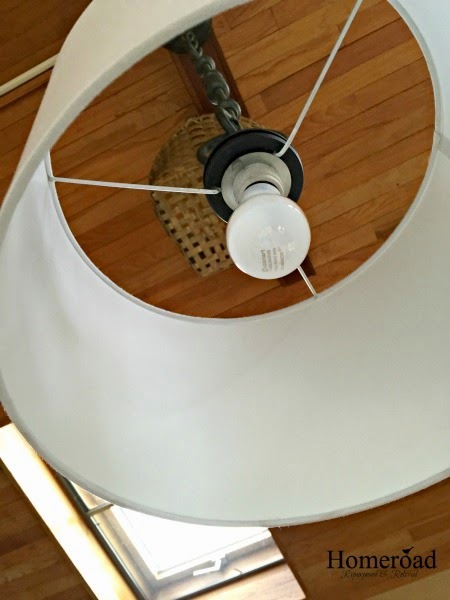 I followed Bethany's directions and with a few tweaks of my own to the lampshade, I switched my 80's looking globe light into a stylish drum shade in a snap. 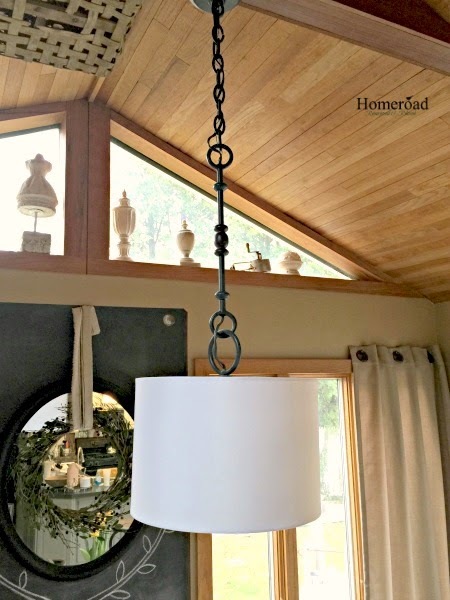 So if you have an ugly glass hanging lamp in your home, think about switching out the glass dome for a drum shade. Please comment and share using the icons below.